It’s Time D-Heads! This week we get chilly and hot in the same because oh my you can’t believe, Jamaica has a bobsled team! This week we welcome LEON ROBINSON (Cool Runnings, Above the Rim, Waiting to Exhale, OZ, Madonna’s Like a Prayer Video, Musician) to the show! 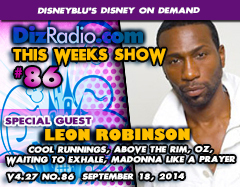 Leon talks about playing Derice in Cool Runnings, some great stories with John Candy, being part of many classic films, the infamous Madonna video, his band Leon and the Peoples, what is he doing now and more! In addition we have the D-Team back as you have questions and he has answers as Erin dips his hand into the mailbag with I Want To Know. 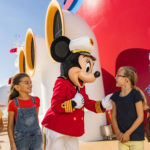 Caitlin is here bringing you the latest from the Walt Disney World Resort in WDW-In-2, and Nathan gives you that look back with This Week In Disney History. Paige is here with a look into the fantastic soundtrack from Cool Runnings in the Magical Music Review and Jason heads to The Vault with another Disney Classic to add to your viewing experiences this time making you feel the rhythm. 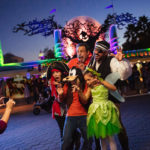 We have news hot off the D-Wire from Epcot, Disney Channel, Merchandise, Big Hero, Frozen, Toys, Clothing, Walt Disney World and more!